1860s With his brothers, loved to play cricket in grounds of estate of Joseph Crosfield, row on the little lake, even bath in swimming bath; with father, drove in dogcart of James Payne to Ifield monthly meeting. At about seven years of age I was installed in the bottom class of the "three lower" as day scholar. The "three lower" classes gathered in one schoolroom under separate junior teachers and one experienced master. Here a happy boyhood was spent with certain ups and downs owing to rude street boy enmities. In the grounds of Joseph Crosfield, whose estate was quite near, we three brothers often disported ourselves at cricket, boating, and even bathing in their swimming bath. Herbert and Margaret, younger members of the family, frequently played cricket with us; sometimes even the graver older members joined in. The South country afforded great scope for butterfly hunting. Reigate Hills were the home of many varieties and often did we three brothers wander there with our nets. "For some time my brother Albert and I went to Miss Watson̓s dame school, where we did Kindergarten work." 1867 to Croydon school. "As a little boy of nine sobbing in the darkness in the first night of absence from home . . ."
My last touch with Croydon School was a Bible, which I still possess, a good deal the worse for wear. "Presented by the Friends̓ School, Croydon, to Bedford Pollard on the occasion of his becoming twelve years of age." That is on the fly-leaf in my handwriting. I think it was really intended as a leaving gift as only three or four weeks later, January �, my brother Albert and I were established at Ackworth. c. 1878 It was while I was in my 抰eens that I first met my wife. She was a member of a Good Templar lodge in which her father, Henry Merry Cross, and several other prominent townsmen were to be seen. "It was near the close � that I left Scarborough and came to my home at Sale, and after helping in a Friend̓s grocery shop with their Christmas trade" . . . Early in � Quaker influence again came to my assistance. From a wholesale tea merchant I received a note: "Take thy apron to St. Mary̓s Gate on second day at 8 o̓clock. Wages 24s. a week. Do thy best." For two and a half years I worked for the firm, being shortly advanced to the post of traveller, and much better wages. Quaker influence again took me up the ladder. My father sounded James Reckitt and I was called to Hull. A new campaign was projected by the firm and presently I was sent to Birmingham to work under their head representative in introducing their manufactures widely, and creating a demand that wholesale houses could not ignore. In various towns I made my temporary abode: Wolverhampton, Dudley, Burton, Hanley, Leicester; working the districts round, returning to Birmingham later to give further impetus to the trade. Once again I sought "fresh woods and pastures new". I negotiated the turning over of my share in the business to my partner, and in Acocks Green, five miles south of Birmingham, we lifted up our eyes. An old-fashioned house with a delightful garden filled with fruit trees, and, at that time, in a charming suburb梐ll promised well. All went well. Another baby arrived as time went on. I undertook an agency for a special tea in which a brother-in-law and some of my family were interested, and began looking out for a business. We heard eventually of a grocery concern in Scarborough and after a good deal of correspondence we migrated thither and for eight years I put my nose to the grocery grindstone. My chief outside interests during this period were connected with the choral society of the town, and the Congregational Mutual Improvement Society. 慒or the Young. A Wonderful Lesson-Book� published in The Friend II May:129�, June:199�0, Sept:250� of Scarborough. 1894-05 慡pring Thoughts� For the Young, published in The British Friend III:130, 158. For some time we attended Didsbury, or Mount Street Meeting, although I had resigned my membership soon after marriage. Eventually, while in Didsbury, we applied for admission, with the family; quite an occasion. A most distressing time did we pass through in Didsbury. An outbreak of small-pox in the neighbourhood caught one of our daughters, and for some weeks we were all in quarantine, the victim being removed to the small-pox hospital. Then came the War, which made havoc of many stereotyped beliefs. I confess my own inability to view with calmness the invasion of Belgium, and shuddered to think, as I do still, of a world at the feet of Germany. For two years I served as a volunteer special constable. Previous to the War I had made one or two journeys abroad, chiefly to Paris and the Pyrenees. After that four years̓ breaks, devoted of necessity in holiday times to home scenes, every season found me a wanderer in foreign lands. Several times I explored the beauties of the Pyrenees, ranging from the Biarritz-San Sebastian end to the Canigou and Perpignan in the east. From here we (there were three of us on that occasion) creased the frontier to Barcelona and sailed thence to Palma in Mallorca. From the outset I have avoided popular resorts. Several times I have been through Switzerland, but only passed one night there, except in the train. As years went by I explored Brittany and the Chateaux country, revelled in the beauties of Corsica and the Riviera, sailed up the Rhone and wandered in some of its ancient towns. Two summers found me in Italy; the second in company of a fellow Ackworth scholar, visiting Elba and Sardinia Capri and Sicily, en route. Another summer I came to Lisbon so picturesquely situated on its great river and journeyed through Portugal to Oporto, which included Cintra, Cascaes, Batalha, Leiria, Coimbra, Bussaco. Five thousand miles on a P. & O. cruiser included a recent scene of fighting, Ceuta, also Malta and Gibraltar. Belgium, with a peep at Holland, and lastly, Hamburg, and a wonderful Baltic tour including Denmark, Sweden and Finland, brought my Continental wanderings to an end, a serious illness undermining my health. For many years I had issued a lecture syllabus of travel, and of literary subjects. Particularly in schools and colleges, the "Wit and Wisdom of Shakespeare" with slides and recitals, had been chosen; sometimes "The Boyhood of Shakespeare" as given from Manchester Broadcasting Station. Eventually I was recommended as a desirable member of the Royal Geographical Society and became a Fellow. During the editorship of Edward Reynolds, many of my illustrated travel articles appeared in the Friend. Over a long period numerous local papers and other weeklies have printed similar contributions. The Manchester City News and the Stockport Advertiser have given space to definite Quaker articles on George Fox and William Penn anniversaries. Years ago Little Folks contained numerous mythological and other stories from my pen. At intervals, as years passed, various books of mine were published, The God of the Children, Everyday Miracles, Elsie̓s Adventures, Cleveland Hall. 1937-01-29 letter from Heaton Moor published in The Friend 95:107. 1945-04-13 obit. in The Friend 103:228. For some years worshipped with Wesleyans; rejoined Friends in Manchester. At 9, to Croydon School, then Ackworth & Stramongate. Apprenticed to John Rowntree抯 grocery business at Scarborough. Joined CWS Manchester in 1898, where he stayed till he retired. Funeral at Ashton-on-Mersey. In addition to other books, had recently published People in Other Lands, a Traveller抯 Tale. Considerable improvement has recently been made in the Accommodation of this Institution. There are a few vacancies for the children of Friends, or of those who attend our Meetings, but are not in membership. The Committee invite Applications, especially on the girls� side. Apply桝lbert Pollard, B.A., Penketh School, near Warrington. ALBERT POLLARD (scholar, 1871-6), son of William and Lucy Pollard, n閑 Binns (scholar, 1839-45), was born at Ackworth, 29th Eleventh Month, 1860. After leaving Ackworth, he spent a year at Bootham, York, and a year at the Flounders Institute, Ackworth, for he had chosen the profession of a teacher from the first. He was apprenticed at Ackworth from 1878-82, and passed on to the Dalton Hall, Manchester, from which place he graduated as B.A. of London University, and afterwards spent two years working at science on free and independent lines at University College, London. He returned to Ackworth in 1885 as teacher of the fourth class. On the opening of the new laboratory in 1889 he became the first full science teacher. In 1889 he married Jane Hallaway Wallis, eldest daughter of the late William Gray Wallis, of Maryport, and music mistress at Ackworth 1885-8, and again, after she had gone to reside in the village, until 1892. Not only was Albert Pollard thorough and methodical in his science teaching, for which he had a special gift, but in school games he was equally clever. In the List of Ackworth Teachers, etc, it is said of him, "In cricket he was from 1878 to 1883 the best slow bowler in the School eleven or even in the district. He frequently bowled unchanged throughout an innings. He practically introduced the art of 'breaking' into Ackworth bowling," and as a further illustration may be noted the phenomenal achievement at a match against Badsworth, of taking six of the opponents' wickets in six successive balls. In 1893 he became Superintendent of the Friends' School, at Penketh, near Warrington, which accommodates 50 boys and 30 girls, his wife taking the office of mistress of the family. Here it was that Albert Pollard did his best because most experienced work, and where he had full scope to carry out his great idea of the building up of character. To further this aim it was his constant care that the class work should be carried on by the best and latest approved methods. He kept a lookout for improvements in teaching music, drawing, French, and handicrafts, and athletics, in the widening influence of games by enlarging the area of the cricket field, and the playground, and the gymnasium. Albert Pollard's health broke down under the strain of work and responsibility, and he only recovered from a very severe attack of pneumonia by his own unconquerable will. Yet still he worked on with reduced power for four years; desiring a life of less responsibility, one in which he could exercise the art of teaching alone. On the death of Albert Linney, at Ackworth, an opening seemed made for his long cherished wish of being first class master at Ackworth, but though he was chosen to fill the post he was not privileged to take it up, for signs of consumption alarmingly showed themselves, which obliged him to resign the position. All possible means were tried by open-air life on the Sussex Downs, and in Wensleydale, and lastly at Grange-over-Sands; yet all proved unavailing. "So passed the strong heroic soul away," ere the full meridian was reached at the age of forty-two on the 9th of Fifth Month, 1902. He was buried, by his own request, in his own native village of Ackworth, near the School he loved so well, and there amid the "fitful sunshine and sudden shower" of that spring afternoon were gathered round him a solemn living circle of those that held him dear. We have lost a strong soul from amongst us. There were many outside his immediate circle to whom the news of the death of Albert Pollard brought a keen sense of personal loss; many who felt that a light had gone out of their lives with the withdrawal of his joyous and radian presence. We do not feel so much that he has entered into rest, as that he has been transferred to a higher sphere of service, for no idea of weariness could ever be connected with him. "Languor was not in his heart," or weakness in his word. He seemed to be one of those born to encourage the waverer and refresh the outworn. Upon the incidents of his life there is little need to dwell at length. The son of the lat William Pollard, he was born in 1860. He was educated at Ackworth and Bootham, proceeding in due course to the Flounders Institute and Dalton Hall, for the profession of teaching was his choice from the first. From the latter place he graduated as B.A. of London, and afterwards spent two years working at science on free and independent lines at University College, London. Meanwhile, between his studying times he had put in some years as an apprentice at Ackworth, to which place he returned in 1885, as Science Master and Teacher of the Fourth Class. In 1892 he was appointed to the Headmastership of Penketh School, and held that post until 1900. In that year through the death of Albert Linney a vacancy occurred in the highest form at Ackworth. To teach that class had always been a cherished ambition with Albert Pollard, and with that unconventionality which was one of his especial characteristics he resigned the headship of Penketh, in order that he might give his whole time and energies to the work of teaching, which was his heart's first love. But before this plan could take effect his health broke down. A severe attack of pneumonia a few years previously had sapped his strength, and now signs of consumption showed themselves. All possible means were employed to combat the disease, and for a time it seemed as if its ravages were stayed and that we might still have kept him with us. But this was not to be, and on the 10th of this month the Home call came. The last winter had been spent at Grange-over-Sands, but by his own wish the funeral took place at Ackworth; and there, in the fitful sunshine and sudden shower of a Spring afternoon, he was committed to earth surrounded by a large company of relatives, friends, scholars, fellow students, those who had served with him and those who had served under him, all alike eager to show their love and loyalty and deep sorrow. Strong and earnest words were spoken in loving appreciation of him who had left us, emphasising his especially fearless whole-hearted determination to follow the truth wherever it should lead him; and his steadfast faith that he would see "his Pilot face to face when he had crossed the bar." In 1889 Albert Pollard married Jane H. Wallis of Maryport, who proved herself a true helpmeet to him in all his works and ideals. They had no children. It is not easy to make any estimate of his character, especially thus early, while our hearts are sore with a sense of loss, and moreover while the charm of his sunny temper and the mirthful tones of his voice, and his ringing laugh, as he told a good story or poked fun at all and sundry, are still fresh in our memories. It was at Penketh perhaps that his best, because his ripest, work was done, and here his wife's name is associated with his in a singularly happy and successful term of service. A. Pollard's, teaching was arousing and truly educative in its character; he had made a thorough study of the art, and took every opportunity of improving the working of the School wherever weakness seemed shown, or where speculation in new methods promised increased success. In this way the School work seemed always pulsating with healthy vigour. He would freely give his scanty leisure to take the children on natural history excursions, and would spend hours in helping them with their collections. He would encourage them in the love for good reading, in the formation of libraries of their own, in the taking up of hobbies, etc. "Mr. Pollard was the only one who ever spoke to me who made me wish to do right," says one. "Personally I owe everything that is good in me to his influence," says another. A well known Friend, an expert in educational matters, writes: "I regard the death of Albert Pollard as a great blow to his profession. He undoubtedly took a much higher view of it and saw its possibilities with a clearer intelligence than most of us; and we looked to a time when, having matured and wrought into form his accumulated thought on educational subjects, he would become the instrument of a distinct elevation of the attitude of Friends to their Schools and of teachers to their service." Thou mayst be sure, my dear boy, we are often thinking of thee, & often pray for thee that thou mayst be strengthened to do what is right in all respects, & to persevere in those good resolutions recently renewed. Remember thou hast had lately a gracious Visitation of Heavenly love to thy soul, & be very careful to cherish it & obey the light that has been granted, & then more will be given. We are looking forward with bright hopes to thy future career as a Christian disciple, & pray that nothing may be suffered to hinder the Lord's work桞e very watchful in all things to keep a tender conscience & to do what is right without being watched & told; & the only way to keep a tender conscience is to obey conscience, & to keep up a regular plan of praying to thy Heavenly Father. Don't miss prayer on any account. Keep cheerful & hopeful, & never join in with any grumbling. Guard thy conversation & neither talk nor think anything thou would be ashamed for us to know. Try & be gentle & courteous in thy way of speaking, & try to overcome thy shyness & reserve. Be punctual. This will require an effort. Thou wilt have many difficulties, but there is no need to be discouraged. I have no doubt thou wilt succeed if thou keeps a good heart. Read this letter over 2 or 3 times. I am writing to you, and to the other members of the family, to announce that I am probably leaving Walden next week; I think, on the Saturday. If you can get that week's budget to me by that time, well and good; if not, you'd better send direct to Emma, as I don't know where I shall be. I don't think it will surprise you very much to learn for certain what my intentions are. It is about a couple of years, I suppose, since I somewhat suddenly woke up to the fact that I was drifting towards the Catholic Church. That prospect, at first dreadful and apparently impossible, has since gradually become to me the whole hope and aim of my life. What the Church seems to me I can't tell you now, but there's all my lifetime to tell you in; how completely and incorruptibly She is the everlasting Bride of God, the Temple of the Holy Ghost. It would be wrong to say this is my opinion; I am so confident of its truth that I think I would die for it; for better for worse, I have submitted my whole soul to Her. My perpetual astonishment has come to be that none of my friends can see Her in all Her beauty and tenderness and wisdom, "the fulness of Him that filleth all in all". 桰 know a thousand objections that leap to your lips. Believe me, I'm not going to buy pardon of sins, or to adore the Virgin Mary, or to think that baptism ensures salvation, or to advocate burning of heretics, or to say that all Quakers will go to Hell, or to believe that "dead works" have a merit of their own, or to put anyone between myself & God; all these things no Catholic does or can do.桾hen again I am prepared to be blamed on all hands for precipitation. I think I have not been precipitate; no one but me knows what long weary hopeless months I have passed, or how slowly I have come to each conclusion. But now, I am sure; and that means that it would be a deadly sin for me to wait here longer. Of course I have written to, and talked with, a priest,梐 most delightful gentleman and scholar in Cambridge; and through his means I hope to enter the haven where I would be, probably on Sunday the 15th. I hope梚n an obscure sort of way梩hat I shall after that spend a little time in some Catholic place to get a little initiated into my new duties. I need not say, surely, how dreadful the act of parting spiritually with all my dearest ones is to me; sometimes almost too dreadful to bear. But Quakerism is to me the City of Destruction; so what avails it to consider that side. 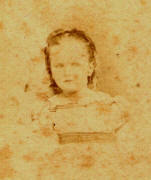 At Reigate, Constance, the beloved child of William and Lucy Pollard, aged 3� years. "He gathereth the lambs in his arms, and carrieth them in his bosom." Wherever he found himself, he threw himself wholeheartedly into the work of the Society, sharing largely in the pastoral work of visitation and taking a lively interest in business meetings. ARTHUR BINNS POLLARD, who died on November 1, was born at Reigate in 1870, a son of William and Lucy Pollard. His parents moved north while he was at Ackworth, and on leaving school he went to live with them at Eccles. It was there that he first became interested in the temperance movement, first as a member of the Friends Juvenile Temperance Society and then as an energetic worker for the Band of Hope and the Sunday School at Byrom Street, Manchester. In this work he came to know Edith A. Jackson, whom he married in 1896. Later years saw him actively engaged in work for peace. He was a member of the Northern Friends Peace Board from its inception to the time of his death, and for some years was a member of the Friends Peace Committee. During the first World War he did much to help aliens and conscientious objectors in and near Ulverson, where he was then working for the Home Service Committee. A concern which lay very near his heart was the extension work of the Society, and during his 30 years' secretaryship of the Westmorland Q.M. Extension Committee he was a constant visitor among the small Meetings in that area. On retiring to the south in 1939 he continued this interest, serving on the Bedfordshire Q.M. Extension Committee and that of his Monthly Meeting; during these last 10 years he did much visitation of Meetings, often at considerable cost to his health and strength. He gave of his best in ministry and friendship in the service of Christ to the last. His happy nature and confident faith endeared him to many, and there was an inspiring strength about his presence in Meeting for Worship whether or no he engaged in the vocal ministry. This page was last revised on 2018-10-03.